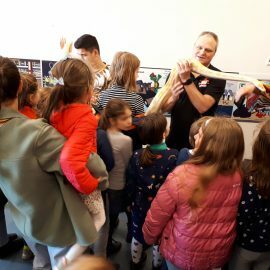 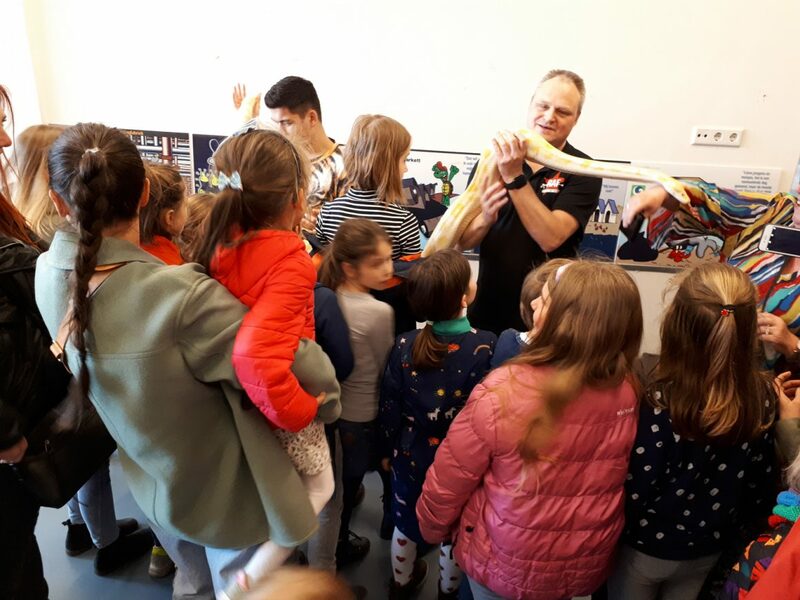 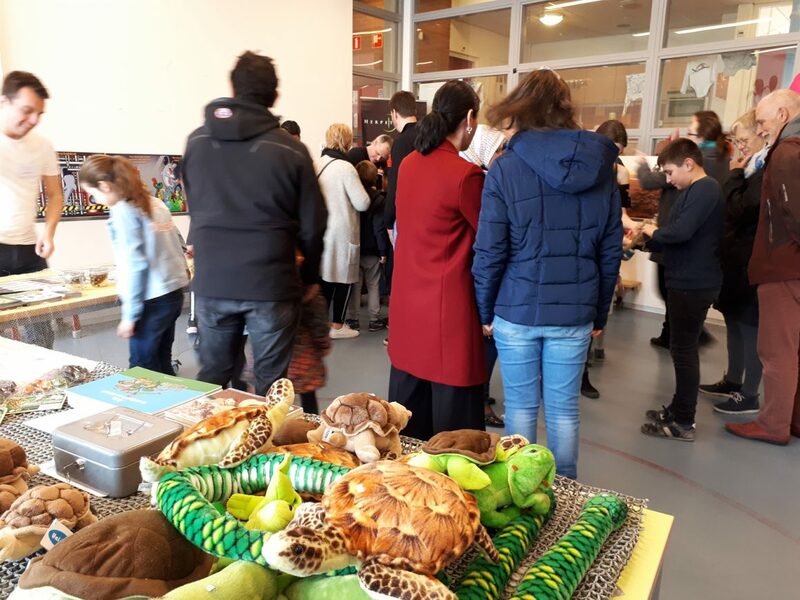 On Thursday, April 4th, together with Herpetofauna Foundation, we visited the Floralaan Primary School in Eindhoven, the Netherlands. 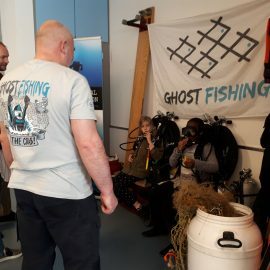 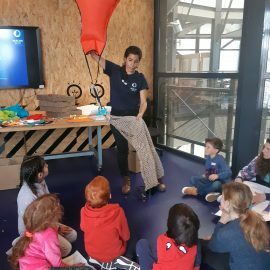 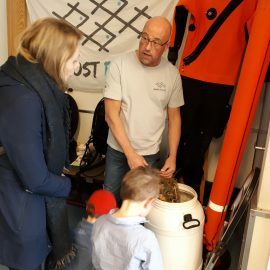 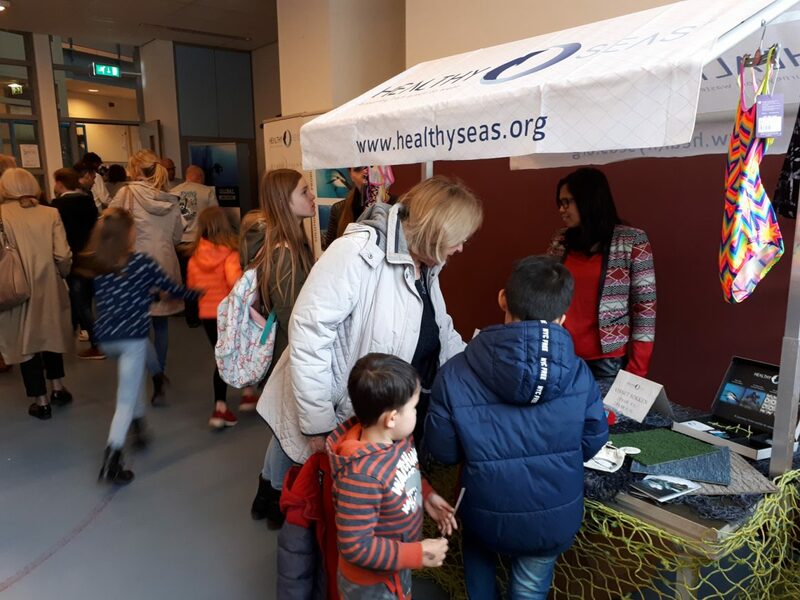 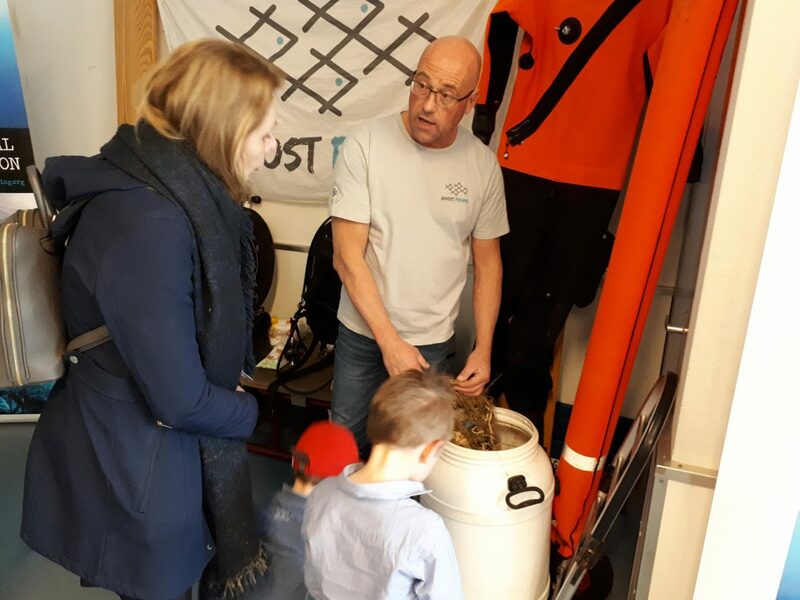 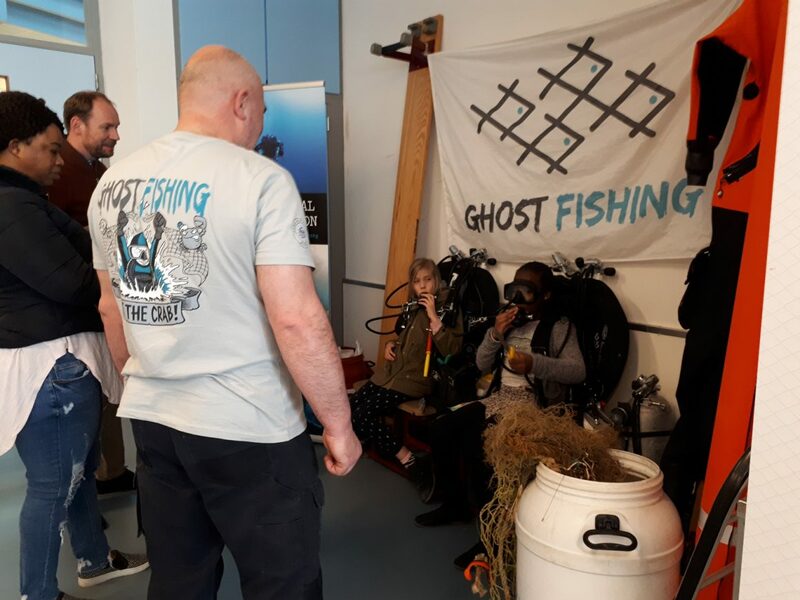 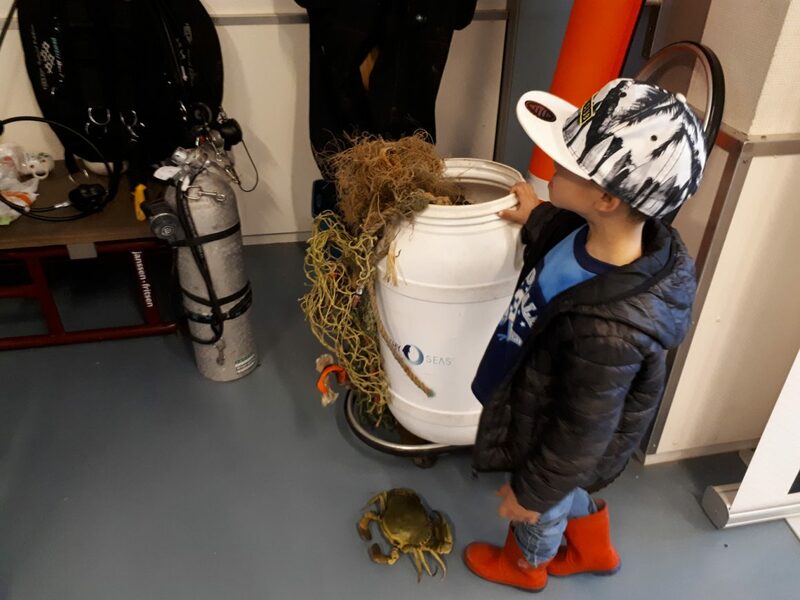 Over 300 children and their parents came to see the educational programme which we organized to captivate their interest in ghost nets and our environmental work. 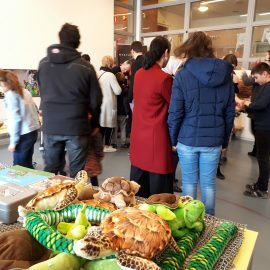 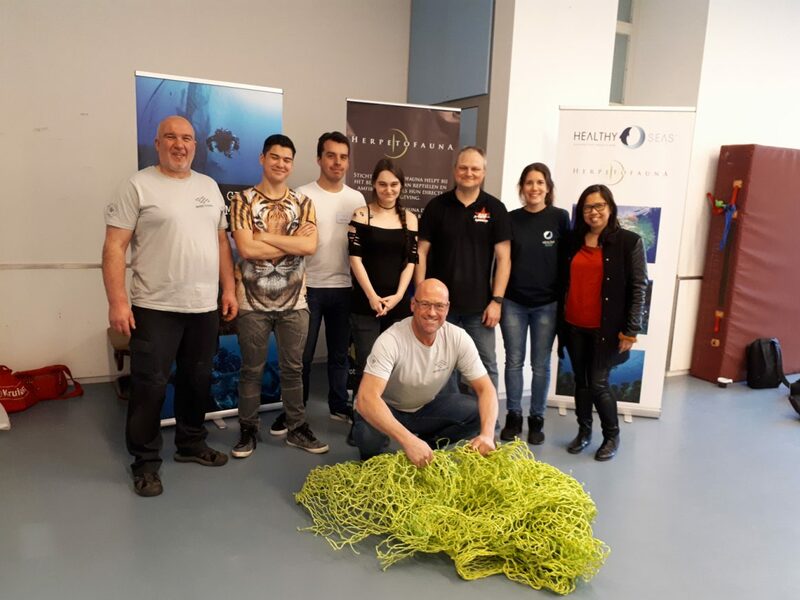 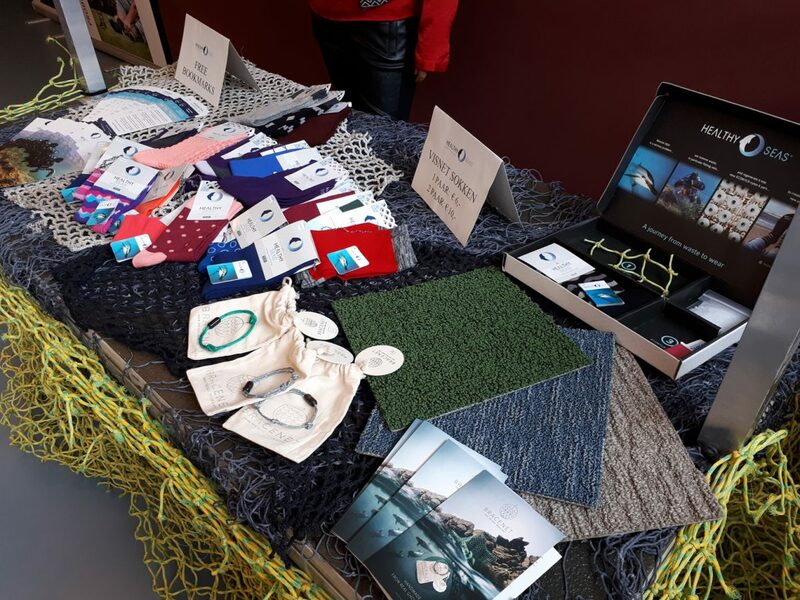 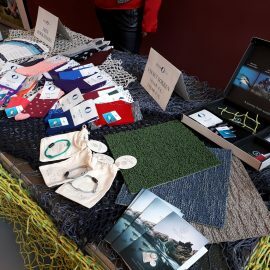 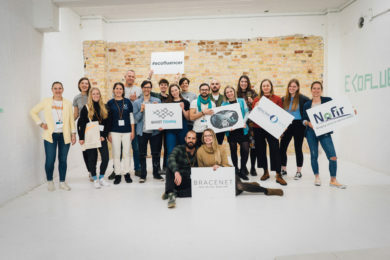 The interactive event included diving equipment, fishing nets, sustainable products by our partners, a photography exhibition and even real live reptiles, such as snakes, lizards and a turtle cared for by Herpetofauna, a Foundation which promotes the protection of endangered reptiles. 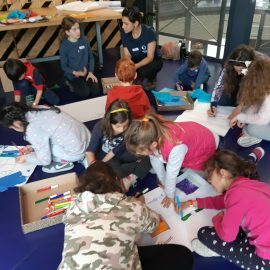 Two days later, on Saturday, April 6th we used a different approach to educate a small group of children in Greece. 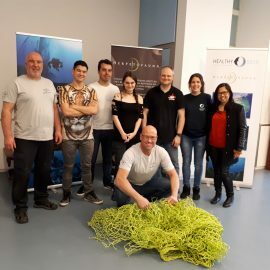 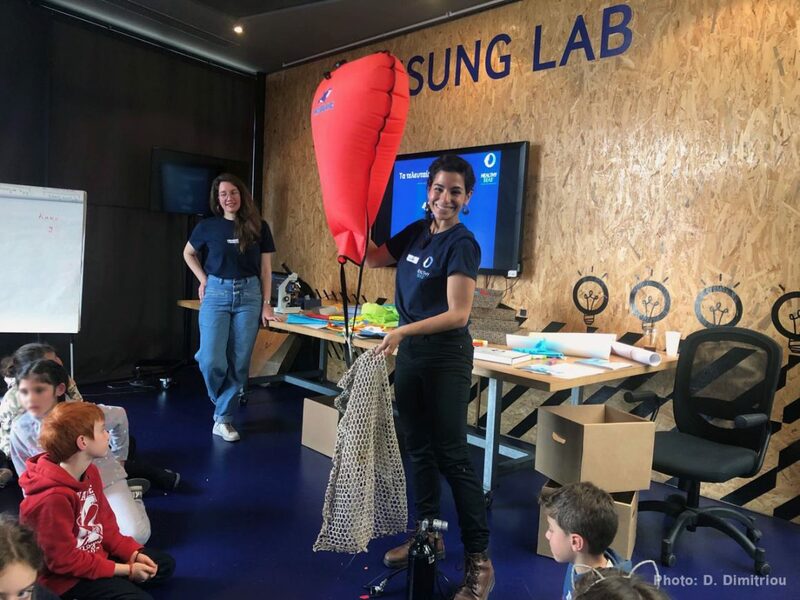 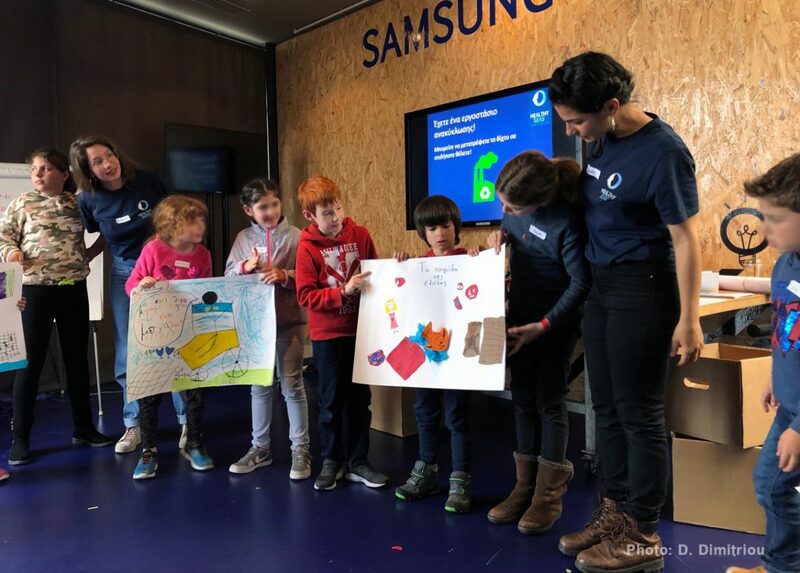 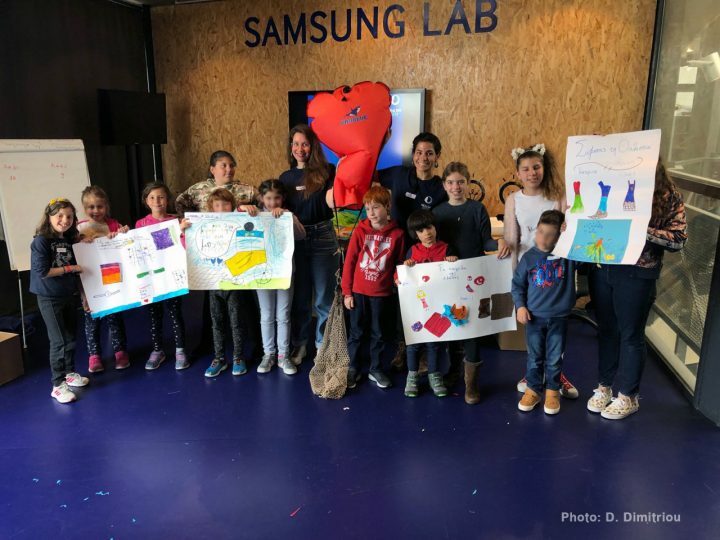 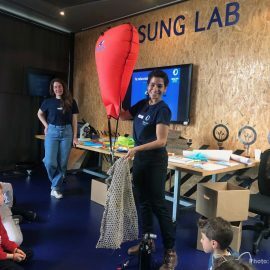 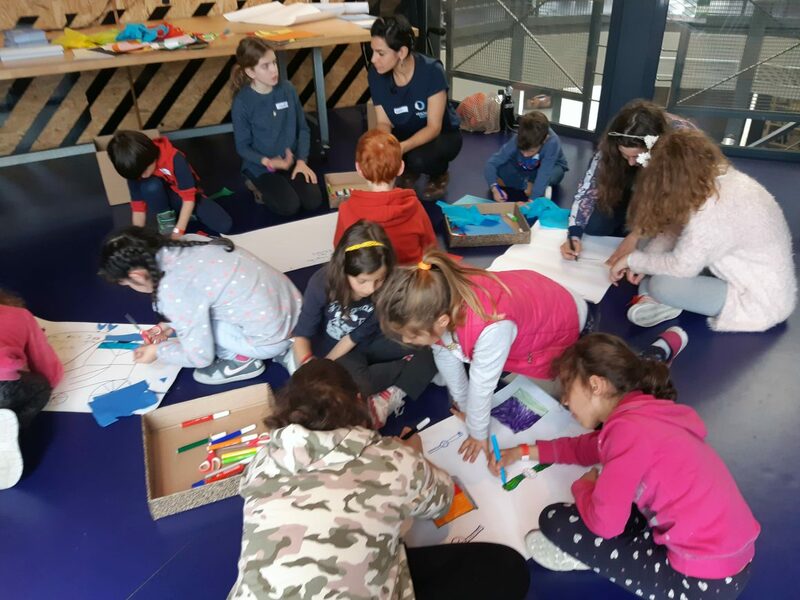 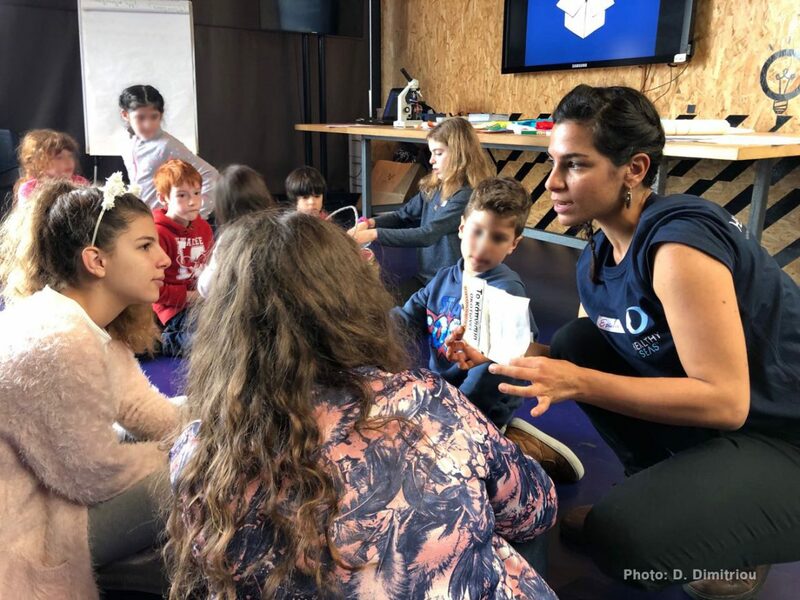 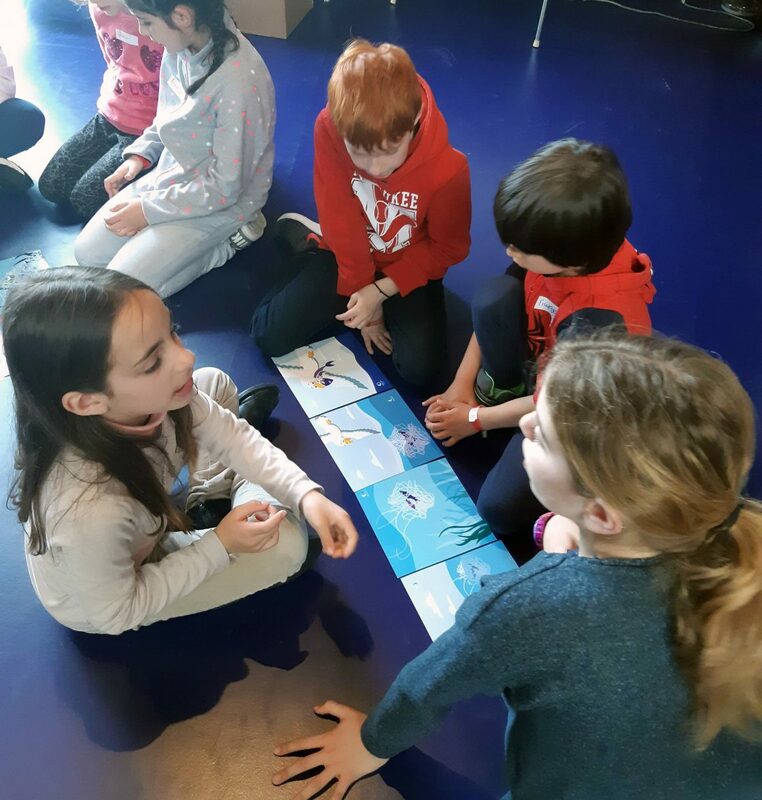 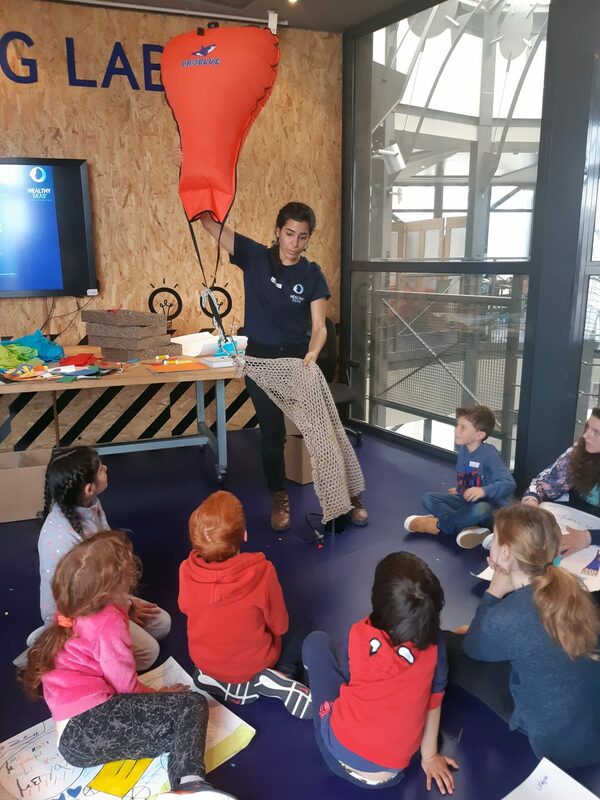 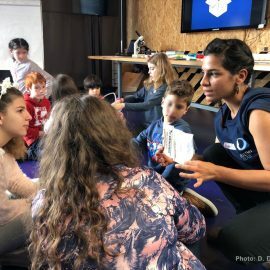 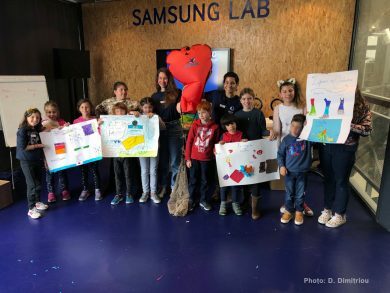 Our team took part in the Athens Science Festival to present “Attention: Fishing Net!”, a programme developed using the 5E (Engage, Explore, Explain, Elaborate, and Evaluate) instructional model to learning. 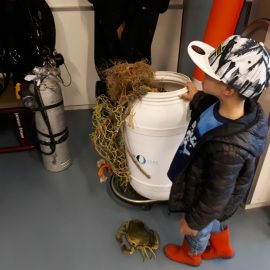 In 90 minutes, the group learned about ghost nets, the food chain, looked at microplastics through a microscope and saw how lift bags are inflated. 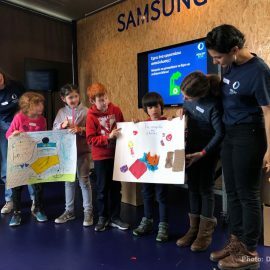 In the end, the children developed their own circular economy manufacturing idea. 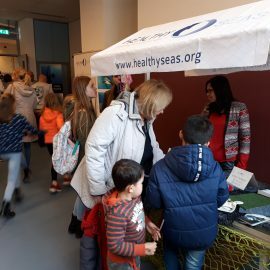 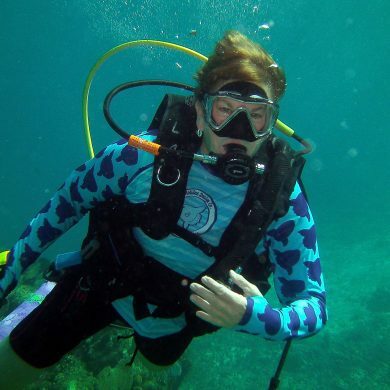 Healthy Seas’ marine protection work is based on 3 pillars: Prevention-Cleanups-Education, all of which are essential if we are to mitigate ghost fishing. 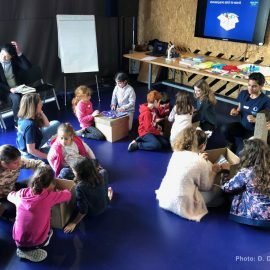 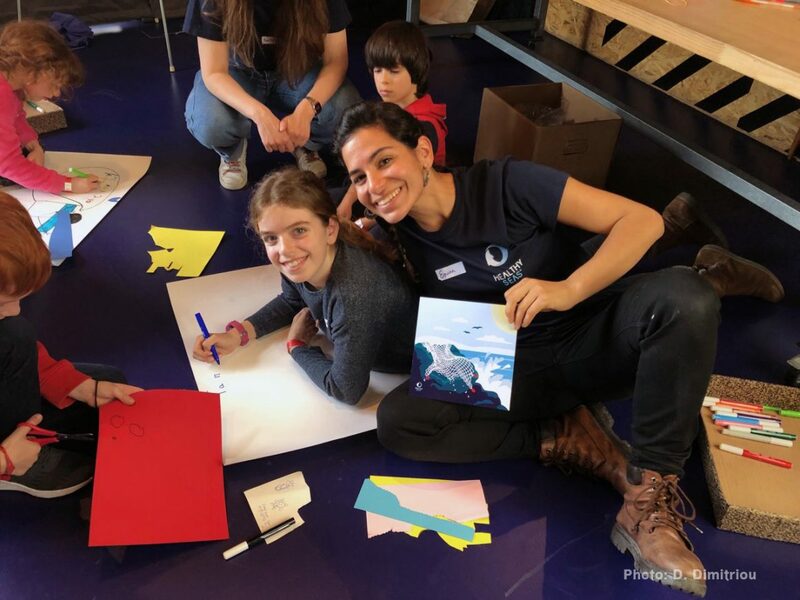 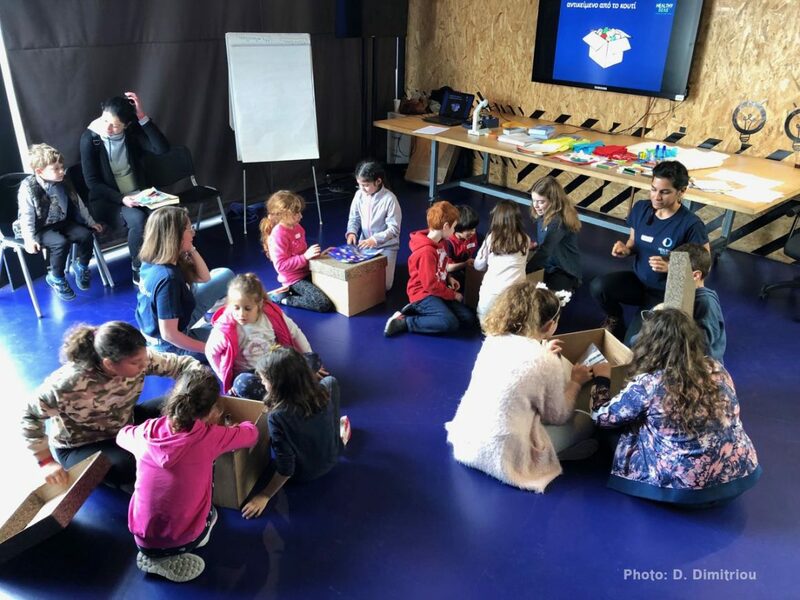 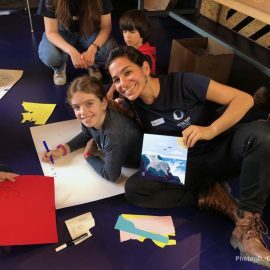 Our goal for the next years is to work harder to reach more kids in Europe so they can become little ambassadors for healthy seas! 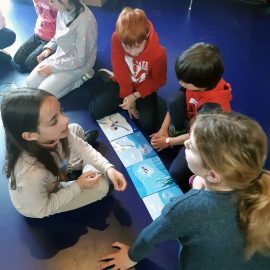 Share the post "Our approach to education in the Netherlands and in Greece"